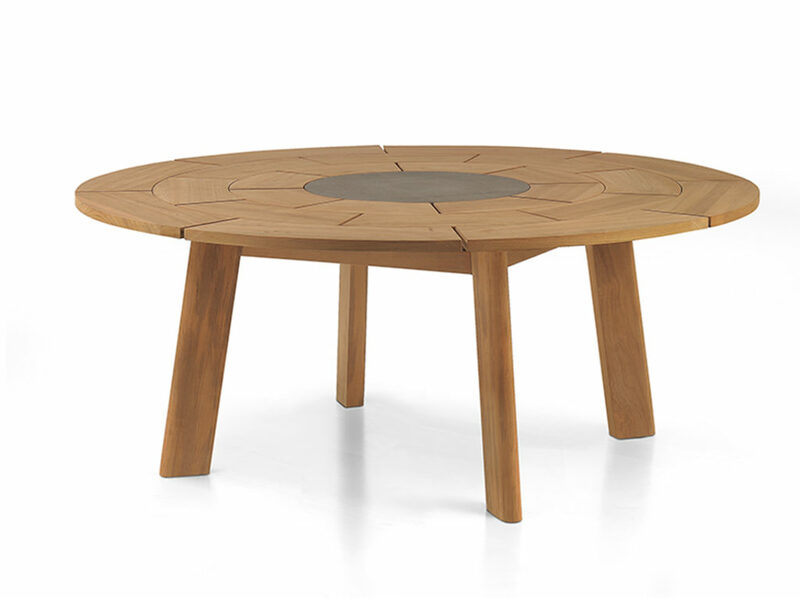 The round table of the BRICK collection, made of solid teak, resumes the strong geometric sign that characterizes the chart pattern of the piano. 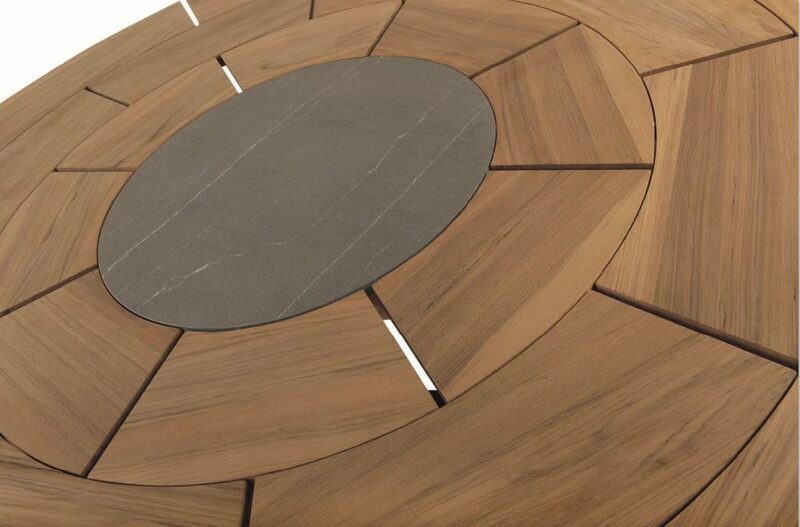 The round stone insert, at the center of the table, integrates harmoniously into the design. The important character of the top combines leg of essential taste, in which soft shapes and linear geometries coexist harmoniously. The legs are tilted to favor the positioning of seats around the table.